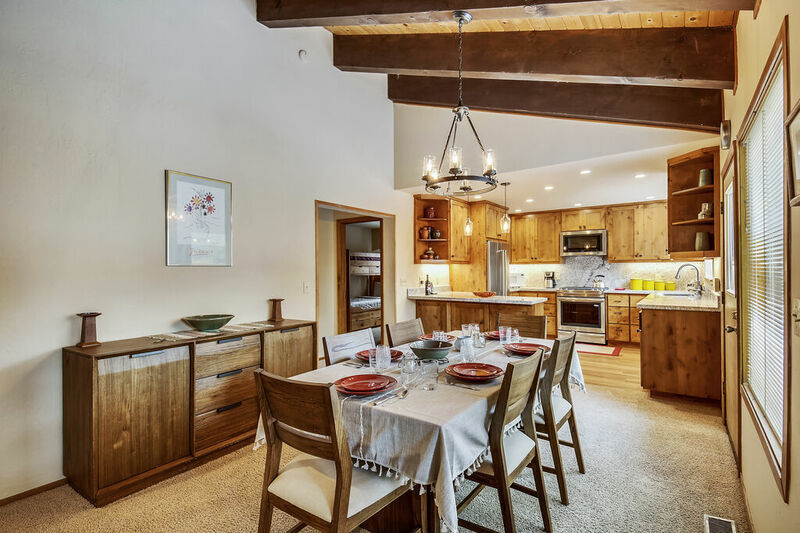 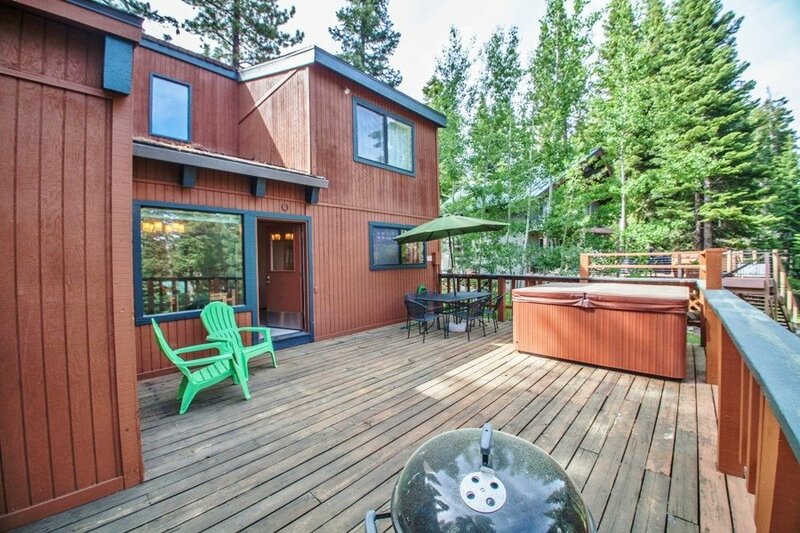 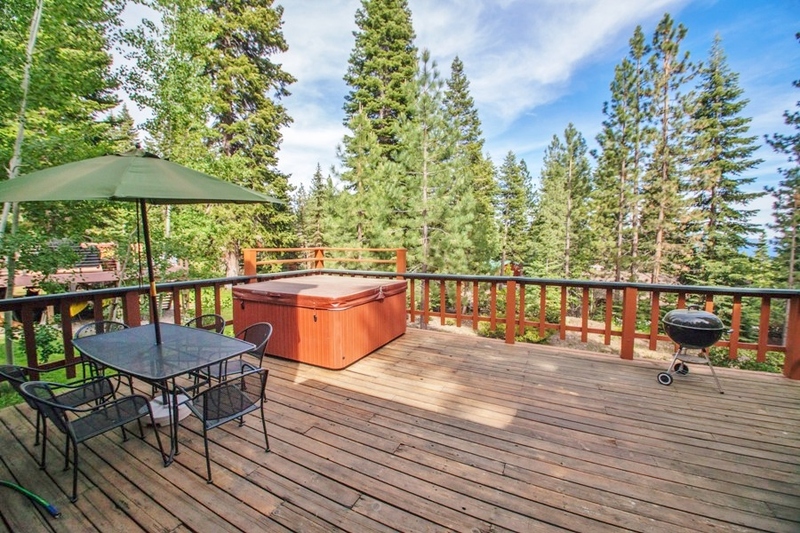 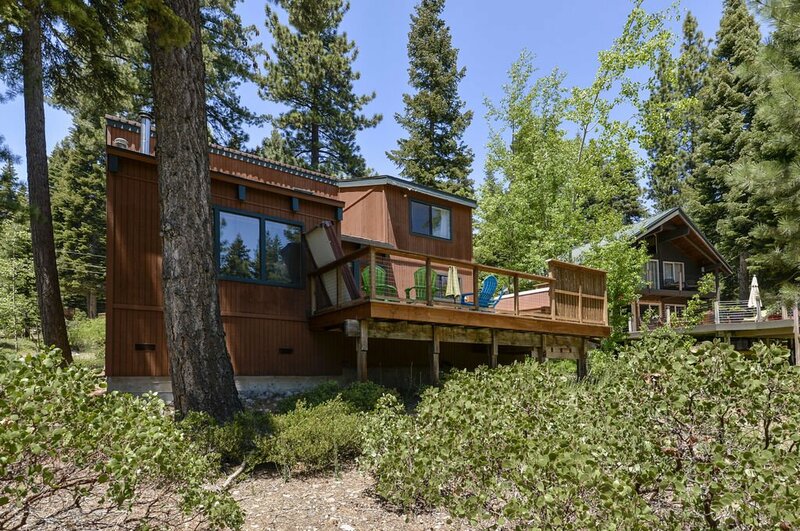 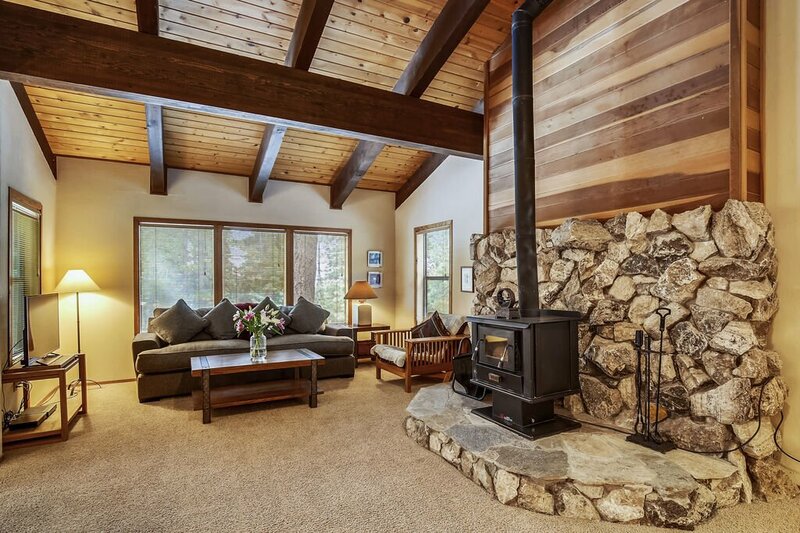 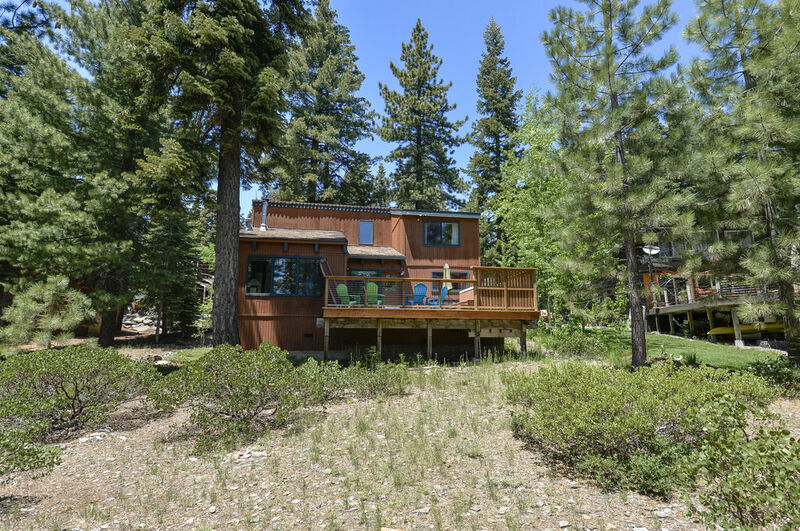 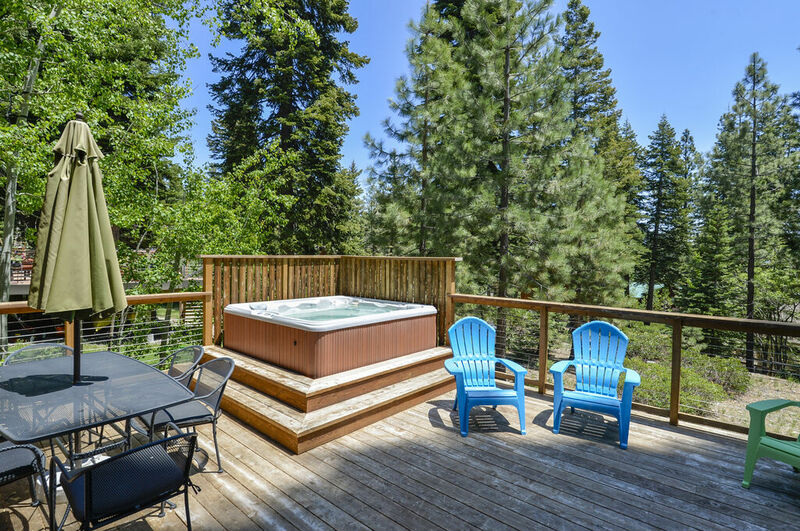 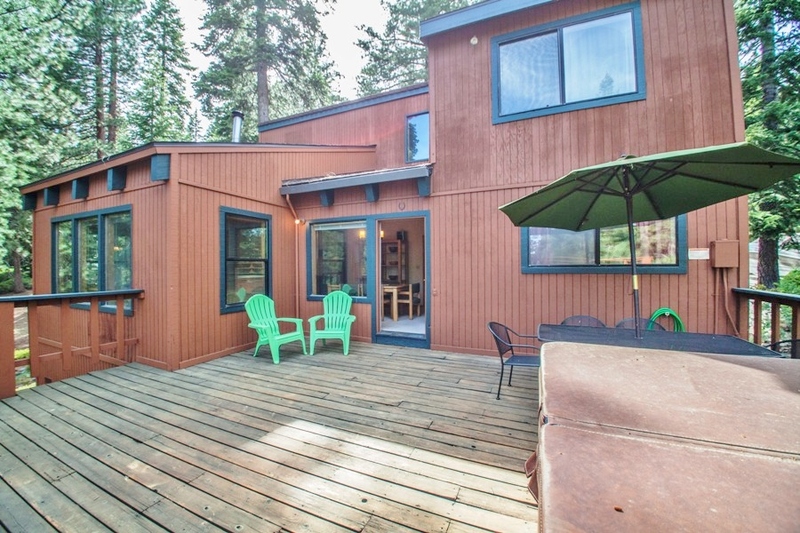 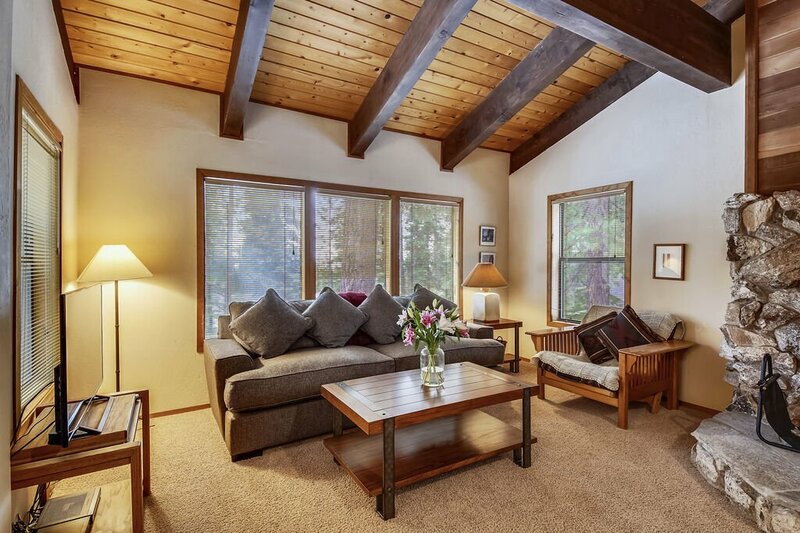 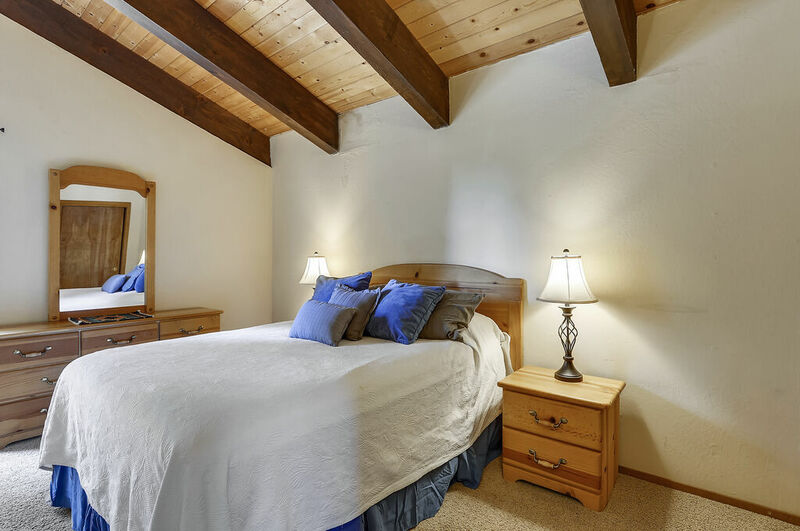 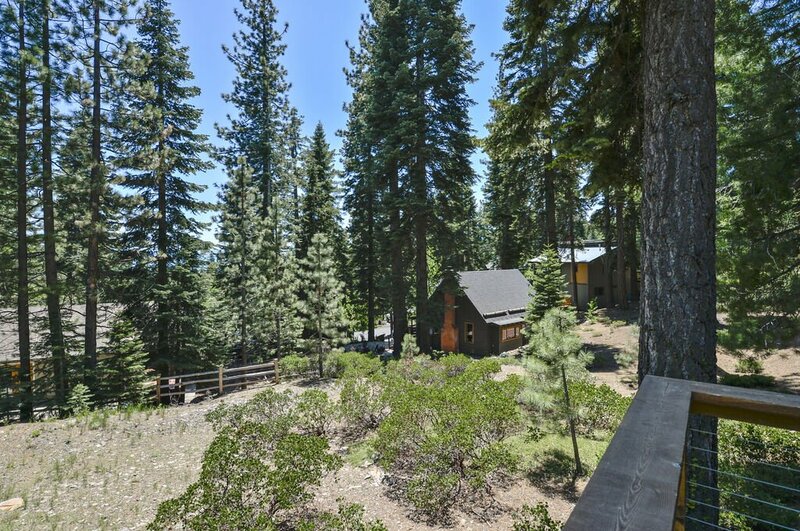 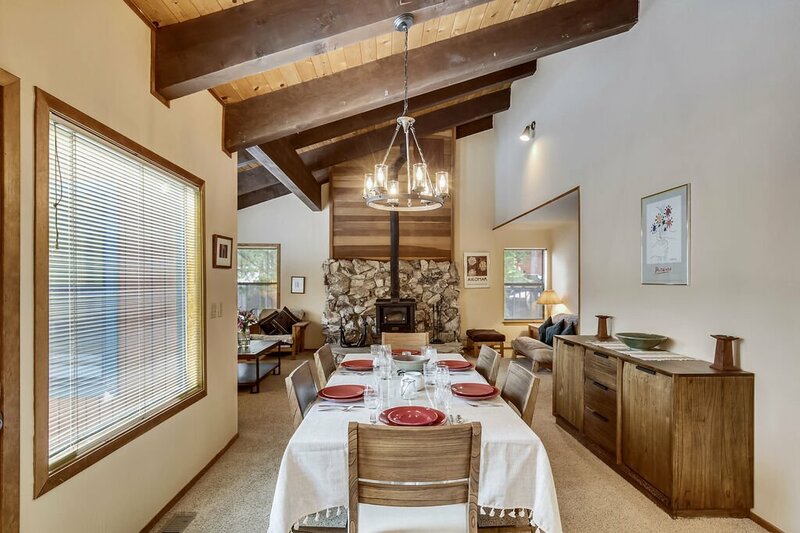 Dog-Friendly - Hot Tub - Ski Lease - Garage - LeasedCarnelian Retreat is available for a ski lease starting either December 1 for 5 months or January 5 for 4 months for $2400/month plus utilities.We do require that all our ski leases are cleaned monthly by our cleaners. 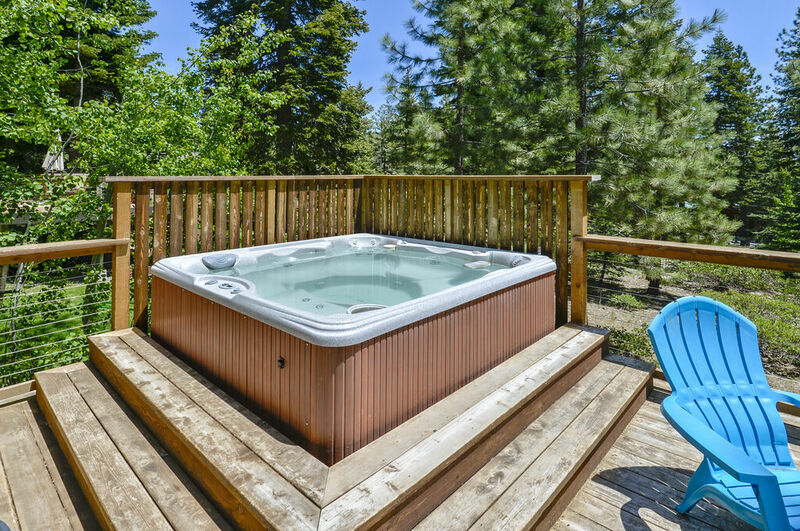 This property is very clean with a brand new kitchen and is well equipped for your vacation. 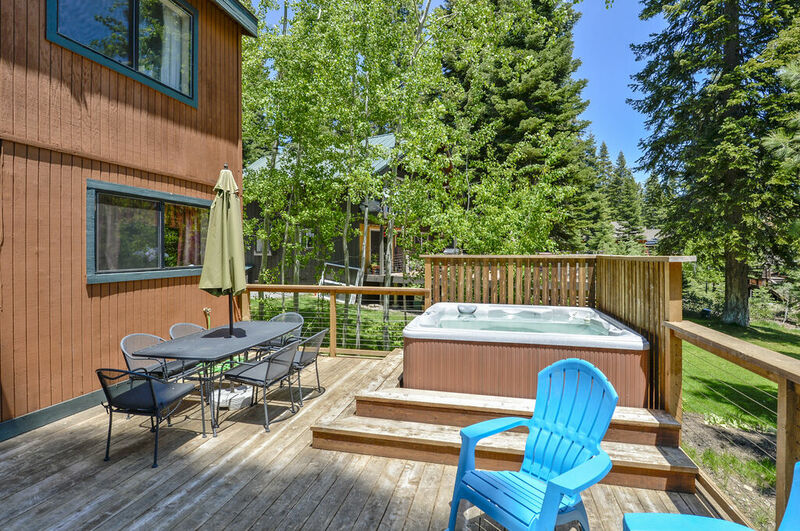 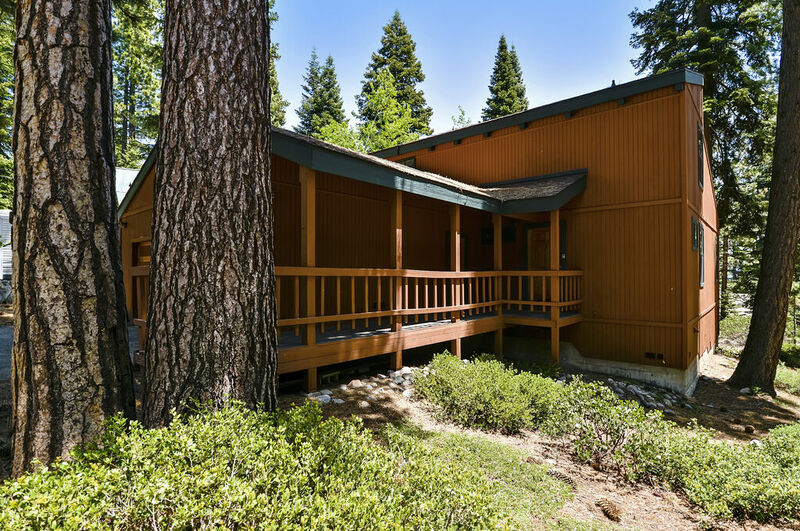 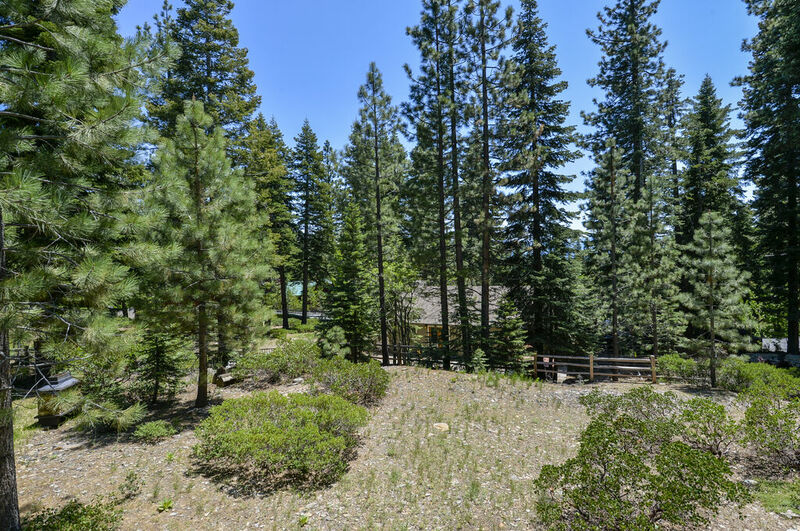 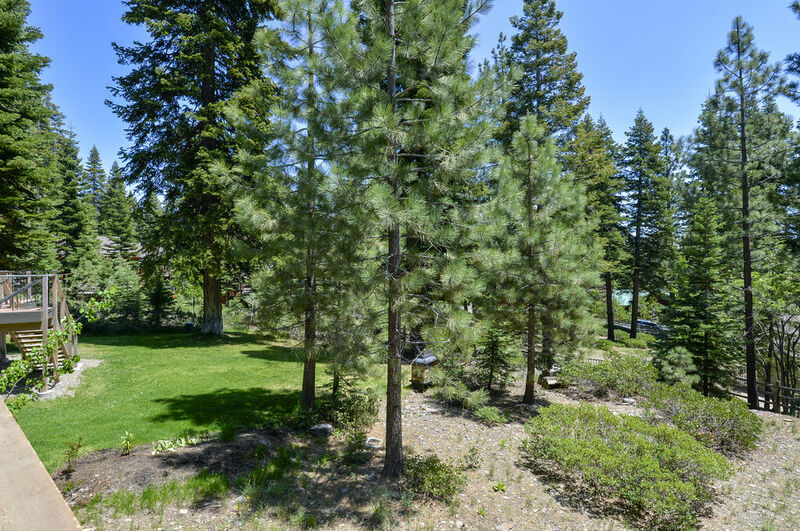 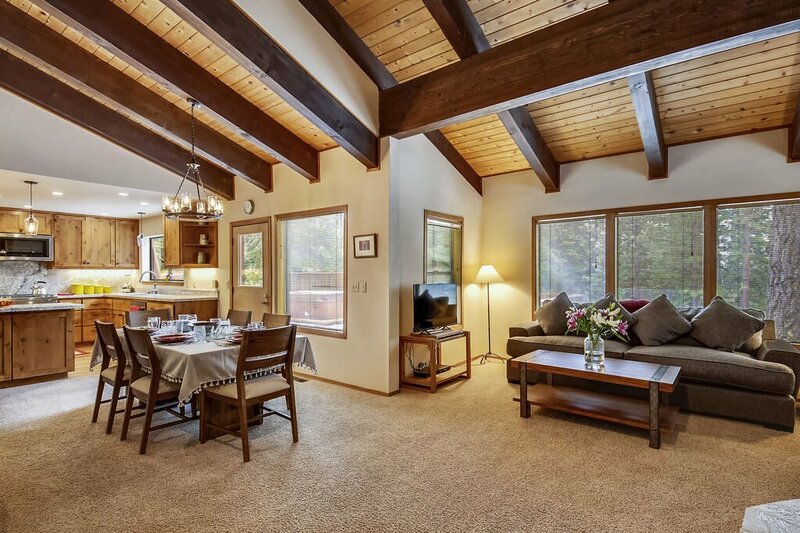 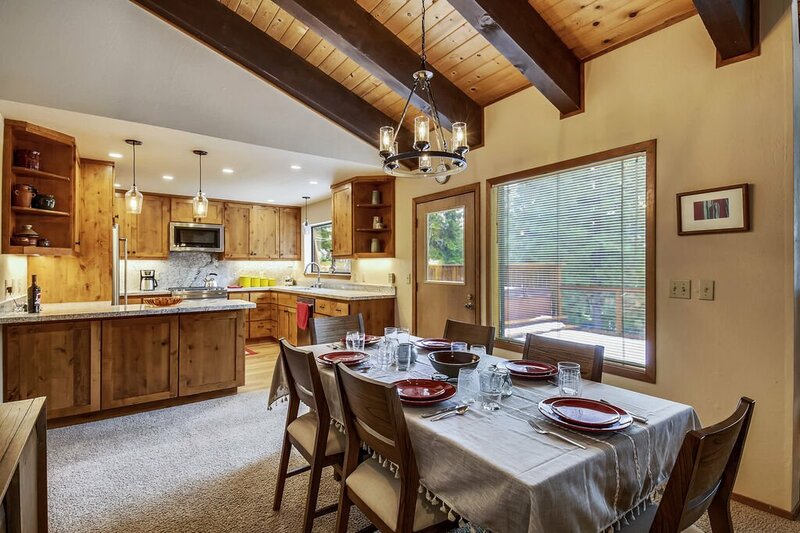 Located in a quiet residential neighborhood, it offers a sunny back deck with a filtered lake view and hot tub, as well as easy access to the extensive walking/biking trail network on the north shore. 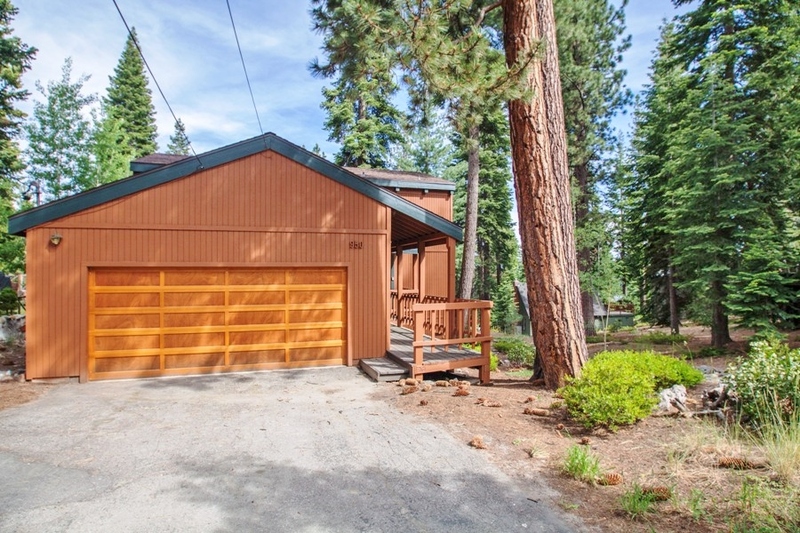 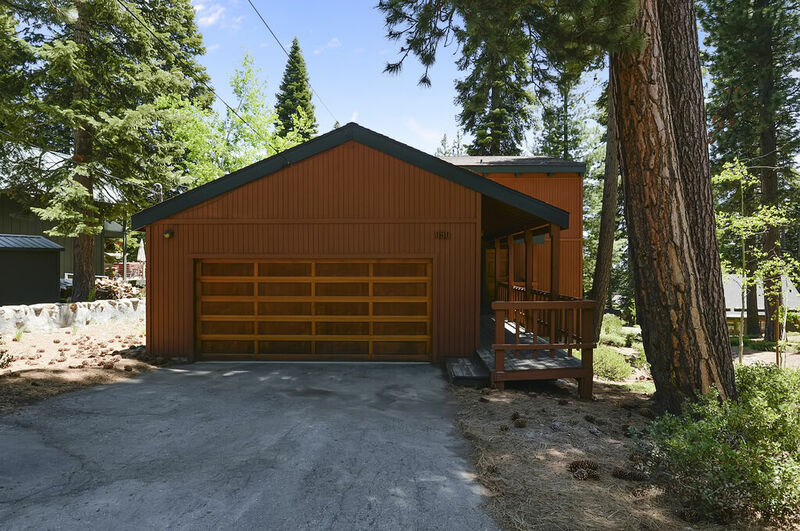 There is a garage with room for 2 cars, and the driveway can accommodate up to 4 more cars. 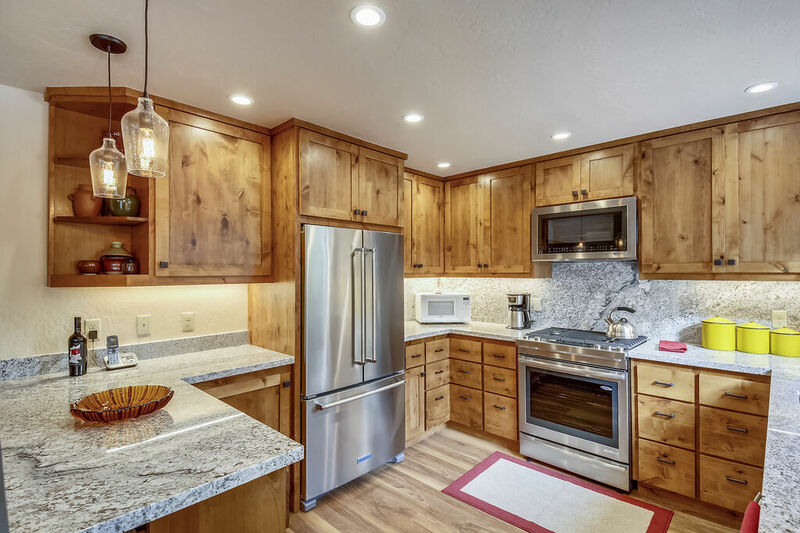 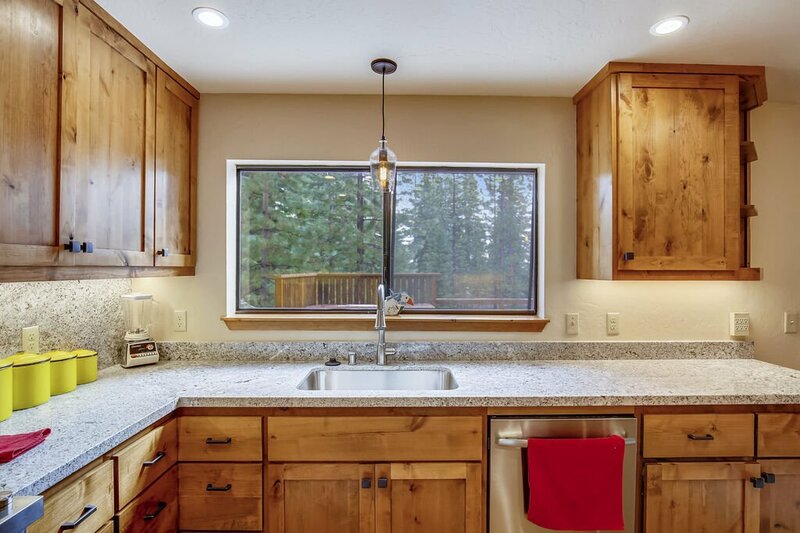 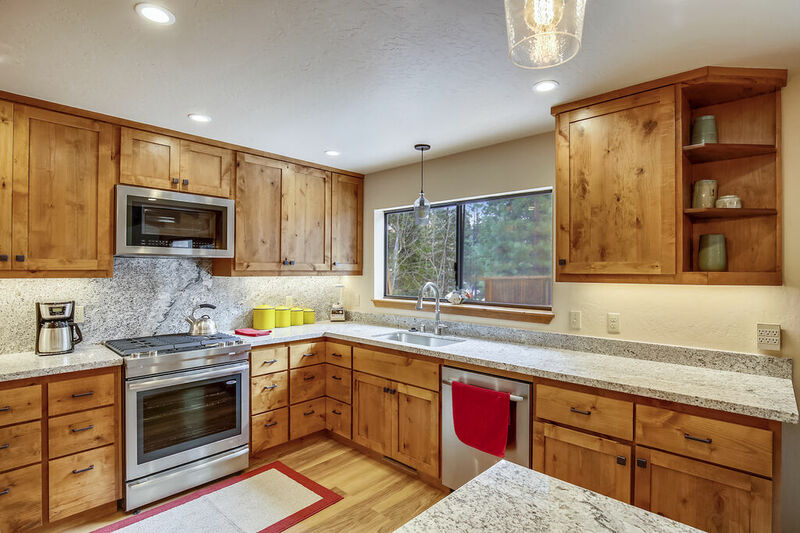 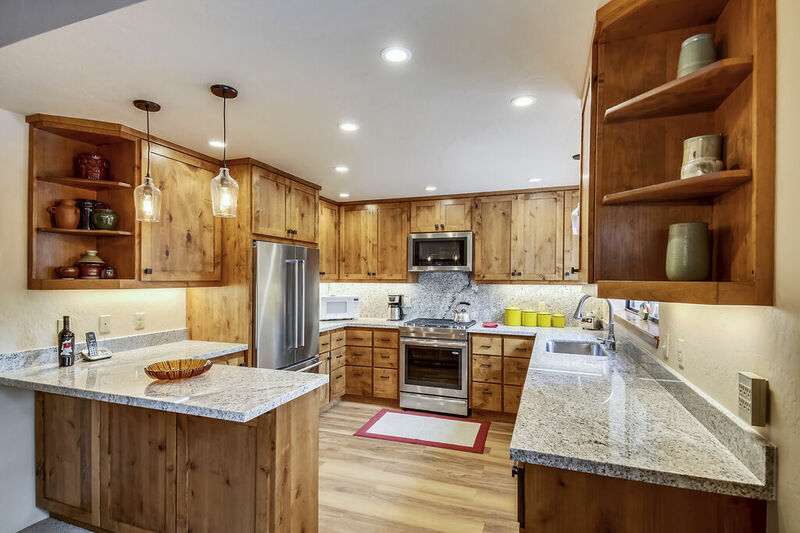 The kitchen includes an gas stove and all major standard appliances, a dual sink, a nice view and lots of sunlight. 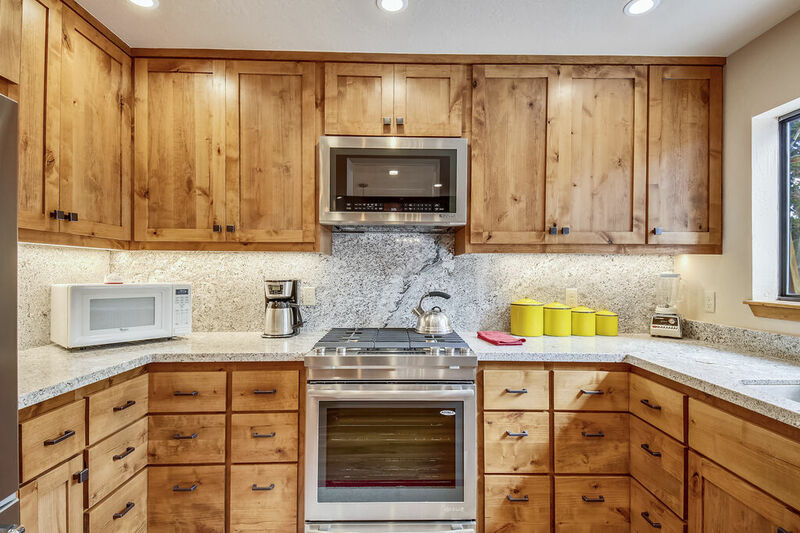 There is a good amount of cookware and utensils, not to mention a breakfast bar with 3 stools. 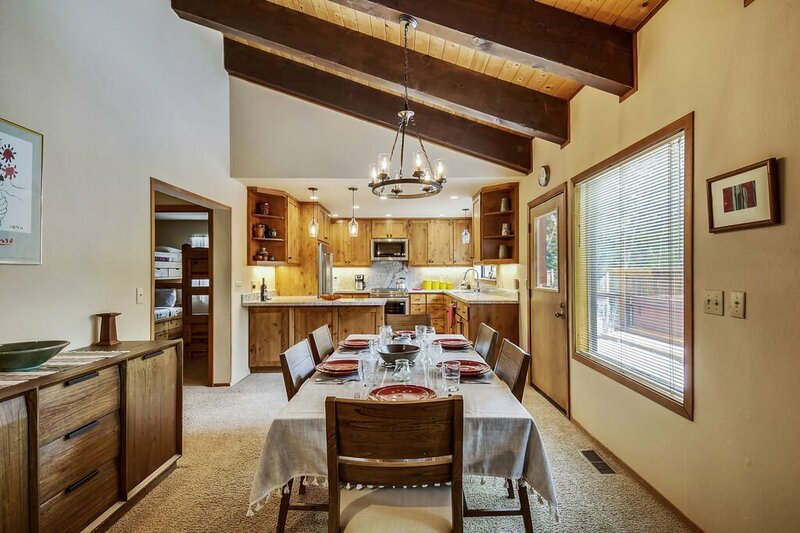 The dining area has a table for 6 as well as an entertainment center with a stereo, card games, and books. 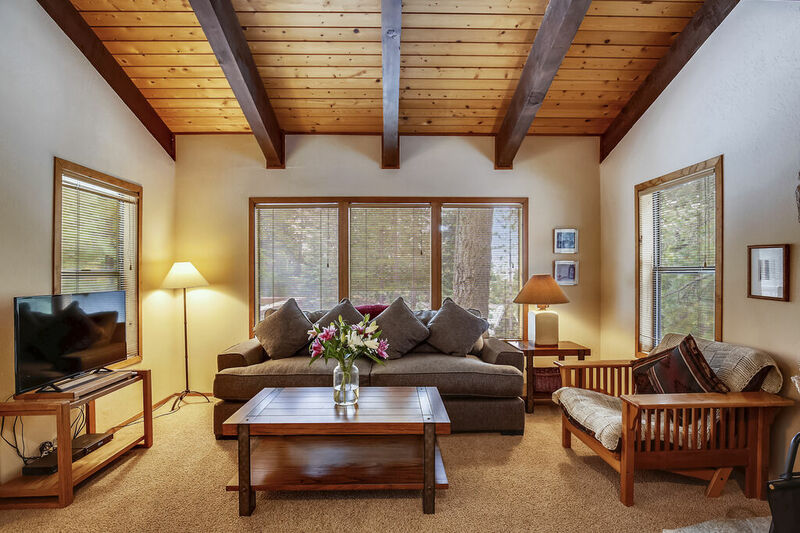 The living area includes a beautiful new 3 seat couch, a smaller futon style couch, plus a comfy chair with a nice coffee table. 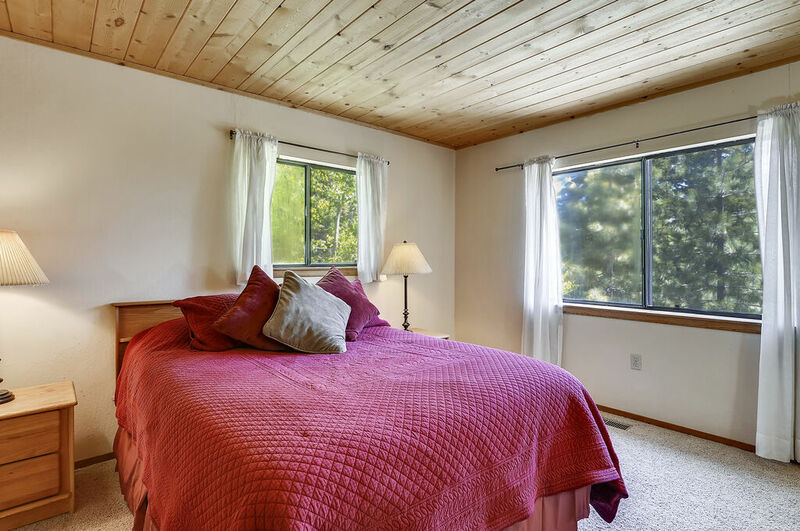 The TV includes a VCR/DVD player, a wood stove, and large windows offering plenty of light. 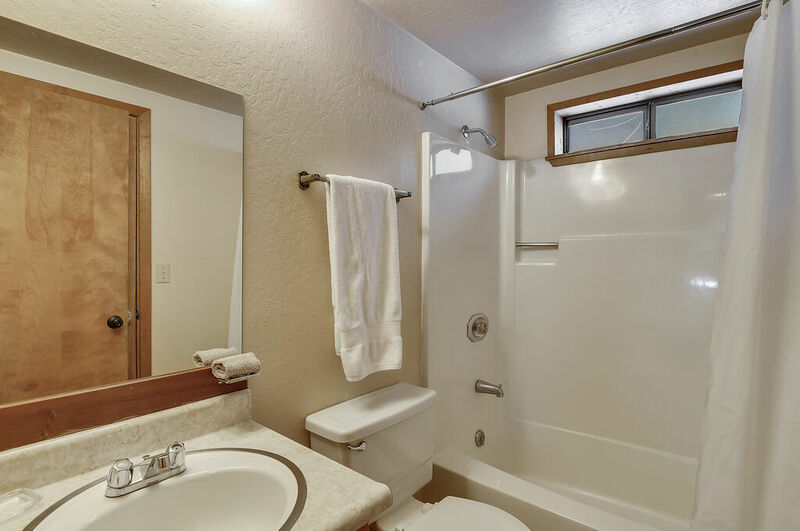 Full bath in the downstairs hall. 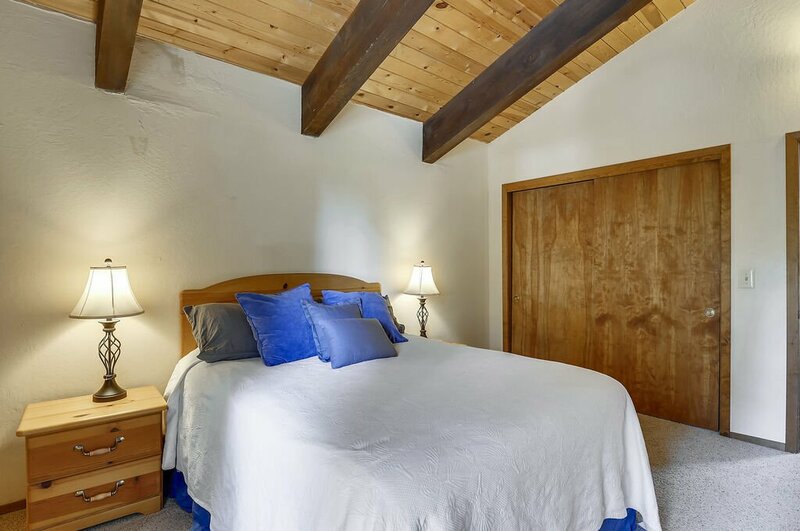 Upstairs bedroom: Queen bed with a nice bedroom set/ bedside tables/ dresser/ and closet. 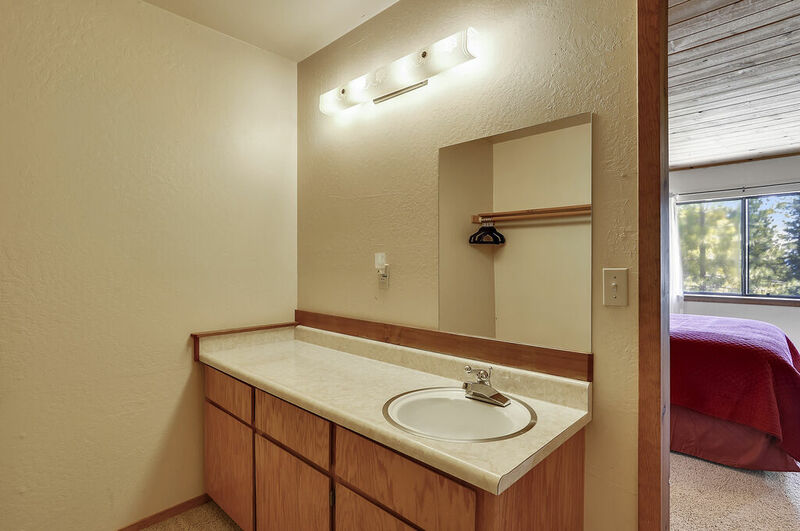 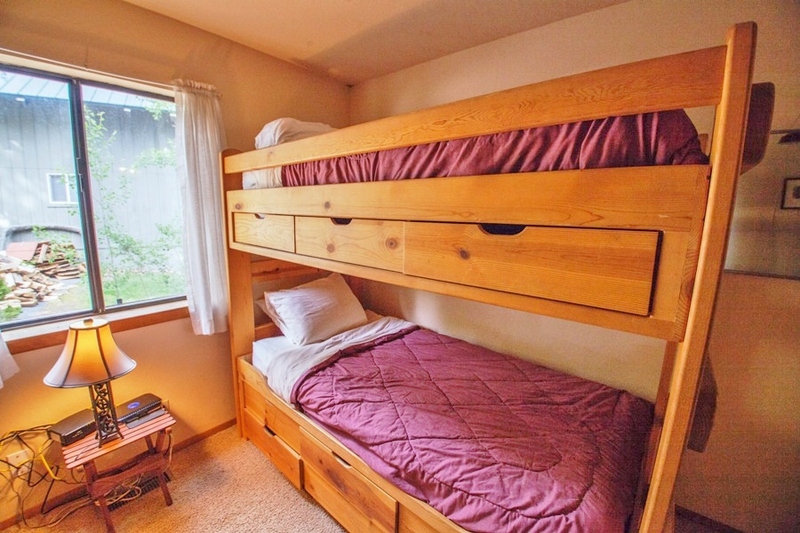 Upstairs bedroom 2 (master): Queen bed, lake view, walk-in closet with sink, joins to a bathroom. 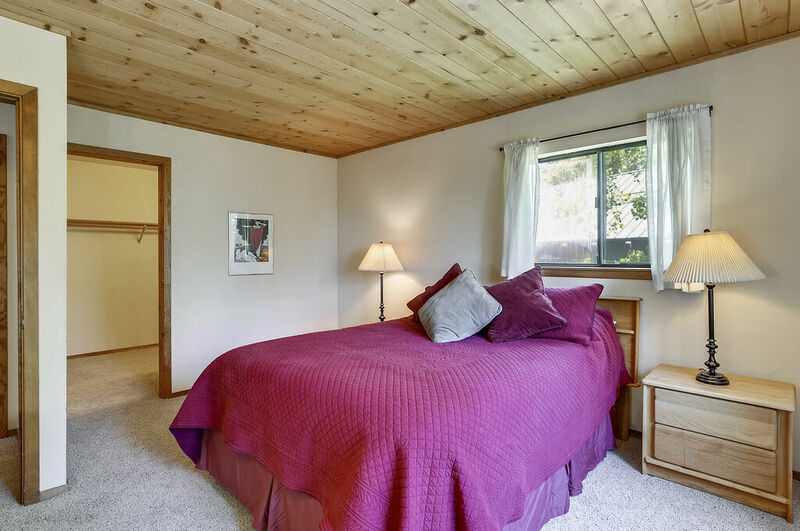 Full bath in the upstairs hall accessed through the hallway or through the master bedroom. 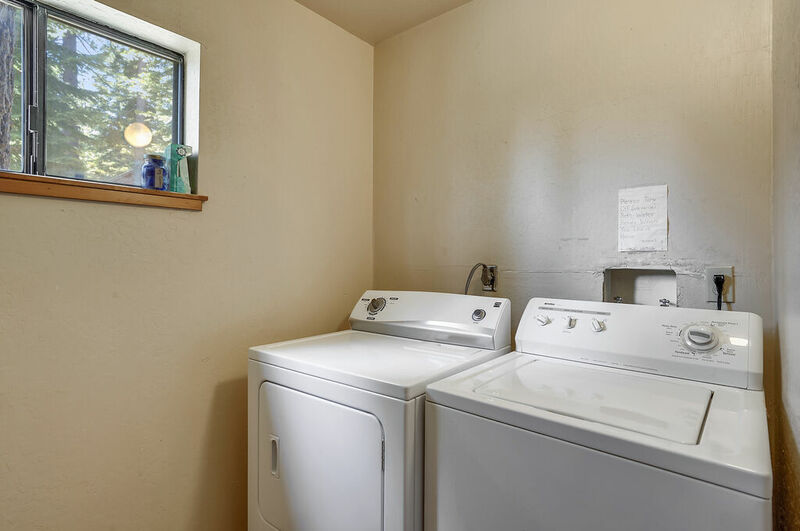 Laundry room with washer/dryer downstairs. 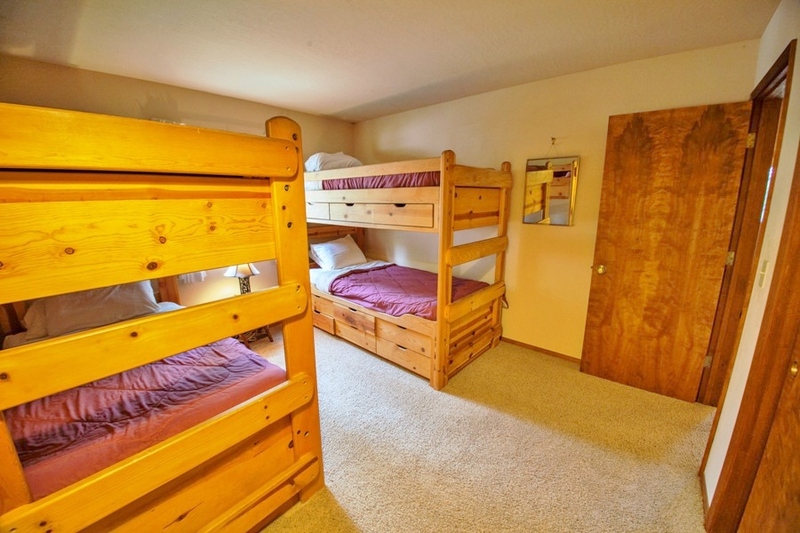 Please note the max occupancy of this property is 6 adults and 2 children.